Toronto Real Estate Blog - GTA News : All Inclusive 2 Bedroom Apartment For Rent in the Heart of Mississauga! - With 2 Parking Spots- RARE ! All Inclusive 2 Bedroom Apartment For Rent in the Heart of Mississauga! - With 2 Parking Spots- RARE ! • 2 bath, 2 bdrm apartment - MLS® $1,800.00 Monthly - Heart of Mississauga! 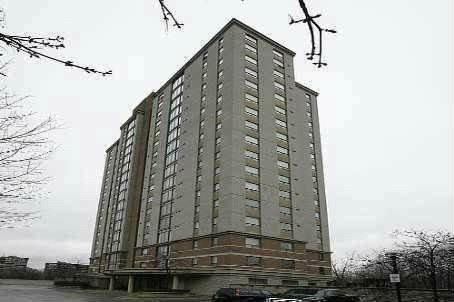 Hurontario/Burnhamthorpe, Mississauga - All Inclusive - Rare Offer! No Other Bills To Worry About! Spacious 2 Bedroom, 2 Bath Rental Nestled In Sought After Compass Creek In The Heart Of Mississauga! 2 Parking Spots Included, Also Lots of Visitor Parking! Open Concept Dining And Living With A Juliette Balcony, Southern Exposure - Great View Of The Lake And Overlooking Forested Ravine And Conservation! Master Bedroom Has 4 Piece Ensuite and Large Built In Closet! Just A Walk Down The Street To Square One Shopping Centre, Supermarkets, Restaurants, Parks, School And Amenities. Minutes From Major Hwy 403, Qew, 401. Extras: Fridge, Stove, Built In Dishwasher, Washer And Dryer. Building Amenities Include :Exercise Room, Outdoor Pool, Party/Meeting Room and Sauna! Relocating to Mississauga? Full Service Rental Department to Help Guide You through the Various Choices - Which Areas are Best - Which Buildings offer the Best Amenities - Which offer the Best Value per Square Foot to Maximize Your Rental Dollars. Looking to Rent in Mississauga?